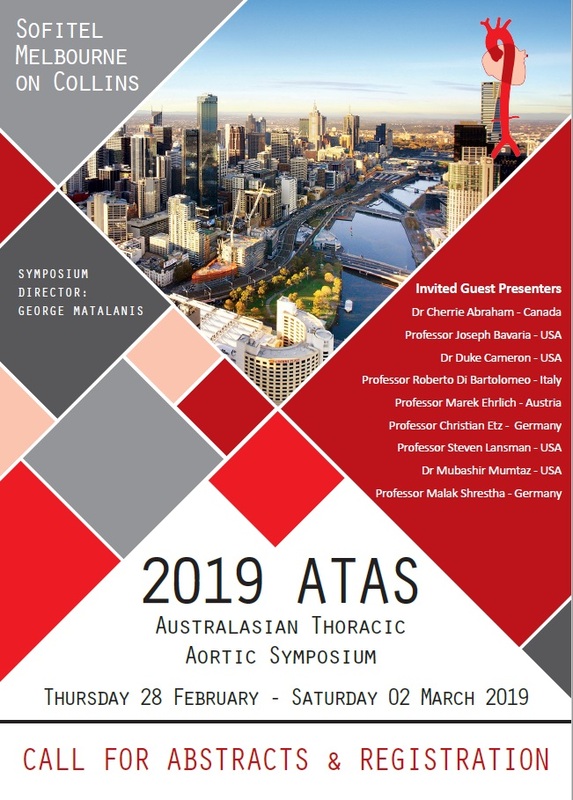 Aortic symposium covering a spectrum of thoracic aortic procedures - involving both wetlab experience (focus on aortic root procedures and endovascular stents) and presentations. Of particular emphasis are current techniques and recent technological developments. A very comprehensive panel has been assembled with leading international and local experts presenting. This includes experts such as Dr. Cherrie Abraham, Professor Joseph Bavaria, Dr. Duke Cameron, Professor Roberto Di Barolomeo, Professor Marek Ehrlich, Professor Christian Etz, Dr. Steven Landsman, Dr. Mubashir Mumtaz and Dr. Malakh Shrestha. We aim to provide a warm and relaxed atmosphere for rekindling of old friendships, forging new friendships and a rare chance to learn from renowned colleagues.